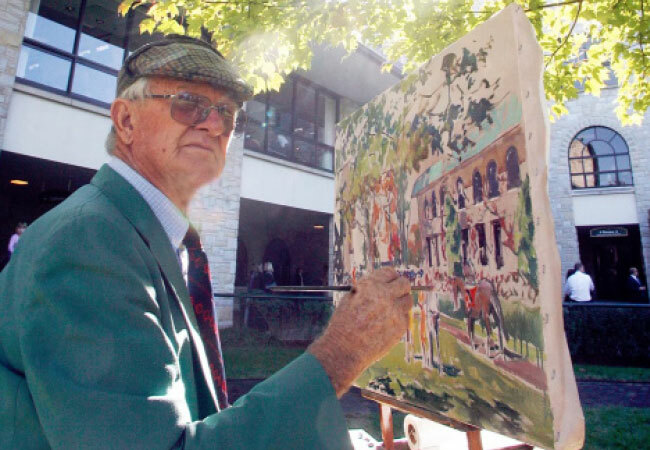 If you’ve attended the races at Keeneland, you may be familiar with Peter Williams without ever having known his name. Always looking dapper and quick with a smile or a friendly tip of the hat, Williams could be found behind his easel painting the scenes playing out in front of him in a way that made them look too beautiful to be real. Over the years Williams earned a reputation as one of the most notable equine artists in recent history, yet for those who paid him a compliment or asked a question as he created one of his masterpieces, they were drawn in by his gracious, self-deprecating nature and stories told in his native New Zealand accent. Williams, who passed away on August 13th at the age of 84, is being honored and remembered this fall at the Headley-Whitney Museum with their featured exhibit, “Peter Williams: Painted from Life,” which will run September 7th through November 11th. “We had been working with Peter on this exhibit over many months. He was such a prolific artist and we wanted to showcase a collection of his favorite and finest works,” said Headley-Whitney Museum director and curator Amy Gundrum Green. It was by chance that Williams even became interested in equine art. Raised to be a shepherd in the family business raising sheep and cattle, his interests had always revolved around painting, which led him to attend Hereworth School, Wanganui Collegiate School and Canterbury School of Art. 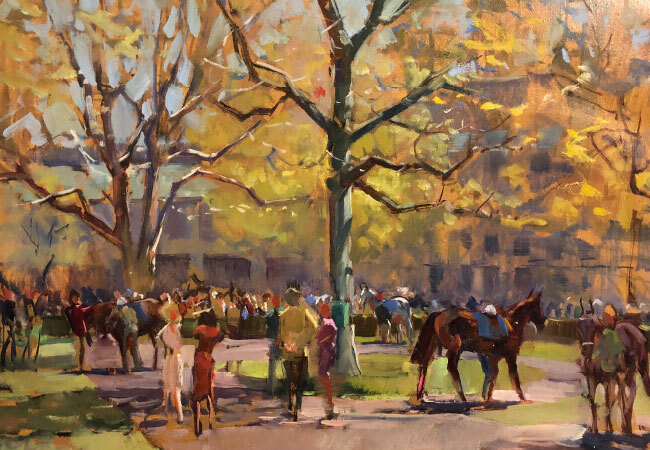 It was a chance meeting with fellow artist Richard Stone Reeves that led to a joint commission for the two to paint racing scenes, which helped not only to grow his reputation as an equine artist, but allowed him to visit racing venues throughout the country, creating unique and coveted paintings wherever he went.